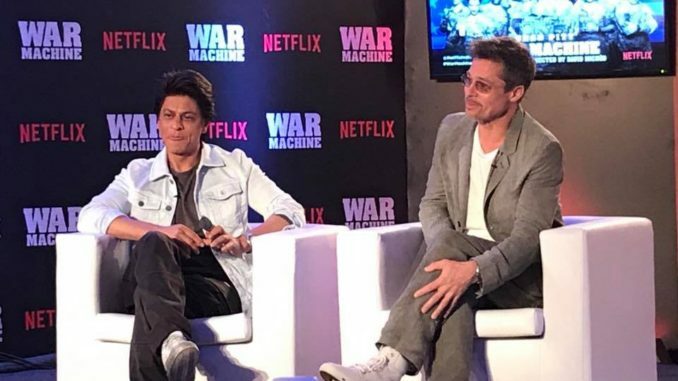 CNN News18’s Rajeev Masand moderated a very special conversation between two of the biggest global superstars – Hollywood’s Brad Pitt and India’s Shah Rukh Khan. Both actors spoke candidly about the pressures of fame and stardom, their lifelong love for the movies, and the changing landscape of the film business. They were joined by Australian-born director David Michod who helms Pitt’s new film ‘War Machine’ which was bankrolled by and will stream on Netflix. This interview first aired on CNN News18 on May 25, 2017.